Política de Privacidad : Warehouse Rack Company, Inc.
Information we automatically collect via industry standard web log files includes the URL from which you visited, the page you are visiting, your computer browser information and your IP address. As a prospective buyer using offerings on our site (such as our Request for Quotes service) to receive information from or about sellers, you are required to provide additional information so Warehouse Rack can deliver these services to you. This includes contact information, basic demographic information, and your purchasing requirements. The information collected varies according to the different purchasing categories and can be viewed by visiting the different forms located throughout our site. We may also ask you for feedback about our service, which is collected and stored to allow us to continually improve our offerings. Warehouse Rack uses the information we gather to put buyers and sellers into contact with one another, to provide other features and functionality of this site, to improve your experience on our site through analysis and communication, for other purposes described in this policy, and for purposes disclosed to you when you provide information. To Facilitate Transactions. Buyers or vendors will receive emails and other communications from us to fulfill or facilitate the purpose for which the information was provided or a request to use a service on this site. You cannot opt out of emails that are necessary to provide our services. 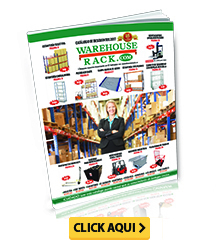 By using Warehouse Rack's services offered on this site, you agree that we may use your personal information to contact you and deliver information to you related to those services. Analysis. In our ongoing effort to improve the content and services we offer, we continually analyze the information we receive to identify trends and patterns in user behavior. Your personal information, when used in such a manner, is aggregated with others to amass enough data for such analysis and is not personally identifiable. Testimonials and Feedback. We sincerely appreciate the feedback we receive from our users. Your feedback, both positive and negative, is forwarded to the appropriate departments at Warehouse Rack as necessary so we can continue to monitor and improve the service we provide. We may also share testimonials in our marketing literature but will do so without including personally identifiable information unless we have expressly received your permission to do so. Newsletters. 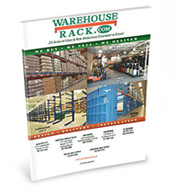 Warehouse Rack offers valuable content through email newsletters for both buyers and vendors. If you no longer wish to receive any newsletter, we encourage you to opt out of these communications as provided in the email. Email Services. Warehouse Rack may offer services such as "Tell a Friend" that allow visitors to notify other people via e-mail about its services. When an email address is provided for these communications, it is not used by us for any purpose other than to forward the requested information. Our customer information is an important part of our business. As a result, we only disclose this information as described in this section. Our sharing of information to outside parties is described below. Prospective Buyers. To facilitate our business of matching buyers and vendors, prospective buyers using our services will be provided information about vendors relevant to the buyer's request or inquiry using such services. This includes supplier contact information, company background information and, where appropriate, ratings or reviews. Vendors. Similarly, vendors whose products or services are relevant to a prospective buyer's request, and/or marketers, resellers and other service providers performing marketing, fulfillment and/or similar services on behalf of such vendors with respect to the prospective buyer's request, may be provided with that prospective buyer's information. We contractually limit use of the buyer's information (including all forms of contact information submitted) by the seller to communicating with the buyer, or permitting its marketers, resellers or other service providers to communicate with the buyer, about their desired purchase. In addition, vendors may receive information about buyers in a manner that does not disclose personally identifiable information. Examples include data that are aggregated across a group of buyers or feedback that is provided without attribution to a specific person or company. Agents. From time to time, we may use the services of third-party companies to help facilitate our business activities. These include bill collection services, affiliate or incentive program providers, customer service organizations, e-mail and postal mail brokers, and marketing service providers. These companies are subject to confidentiality agreements with us and are prohibited from using the information we provide for any reason except to perform the functions that Warehouse Rack has outlined for them. Legal Requests. Warehouse Rack is interested in protecting its members and the community at large. We will release account and other personal information to legal authorities when we believe it is appropriate to comply with the law, rules or regulations or to protect persons or property. In addition, Warehouse Rack may choose to release information about you to relevant parties in relation to investigations of fraud, piracy or other unlawful activity. Therefore, although we use industry standard practices to protect your privacy, we do not promise, and you should not expect, that your personal information or private communications will always remain private from unauthorized access.